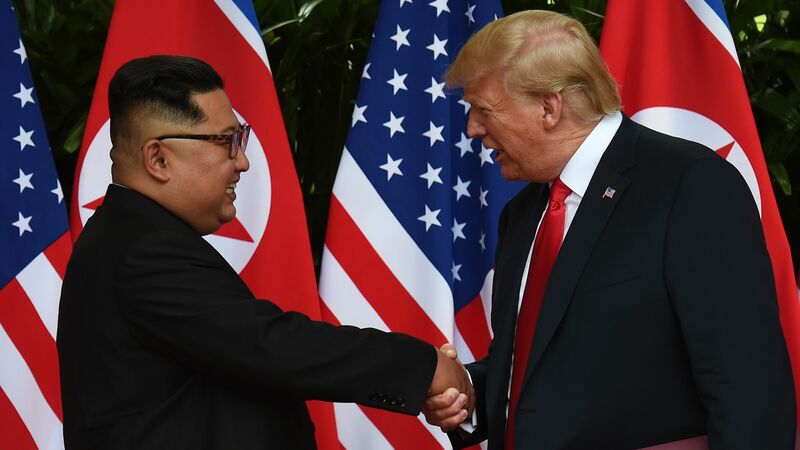 The Singapore summit was textbook Trump, namely, his equation of the personal and chemistry with policy and accomplishment. The problem is less (as so many are saying) the legitimacy the president accorded the North Korean leader, so much as the one-sided outcome that yielded little in the way of substance. Between the lines: The released statement is almost entirely aspirational. There are no definitions of denuclearization, no specifics as to the requirements of verification, and no timelines. History would suggest that implementation is everything when it comes to North Korea, yet there is nothing firm about what is to be done or when or how. It is most troubling that Trump agreed to suspend all joint military exercises between the U.S. and South Korea and mentioned the desirability of removing U.S. troops from the peninsula. That he used the phrase “war games” to describe the exercises only makes it more worrisome. There was no mention in the summit statement of reducing North Korea's conventional military threat to the South. The outcome seems to be nothing so much as the “freeze for freeze” proposal China floated months ago linking North Korean weapon and missile testing with U.S.–South Korean exercises. It will be extraordinarily hard for the United States to maintain pressure on North Korea given that sanctions will begin to unravel (with China and Russia leading the way) and given that South Korean President Moon has committed to normalizing relations with the North. The only reference to a future process assumes a continuation of bilateral talks. None of this bodes well for future North Korean concessions or for the concerns of American allies. The bottom line: The good news is that the Singapore summit initiated a diplomatic process with the potential to make a contribution to stability and peace. War seems much more distant than it did just months ago. The bad news is that "potential" is the operative word here, and we are off to an unbalanced start.